In the Icelandic national final called “Söngvakeppnin” there have been seven strong songs. At the end it became clear that there could only be one winner - Eyþór Ingi Gunnlaugsson with his power ballad named “Ég á líf” (I Have A Life). The Icelandic broadcaster RÚV has produced two semi finals and one big final of a very high quality, the final took place in the newly build Reykjavík concert hall “Harpa”. The most outstanding aspect to be mentioned is the good choice of songs. They all could have made a good place in Malmö, but “Ég á líf” has been the most touching performance. The song “Ég á líf” is a very poetic song about belief and the way of life. The outstanding voice of the 25 years old singer Eyþór Ingi combined with the beautiful and romantic melody transfers the song to a certain level of “must listen another time”. 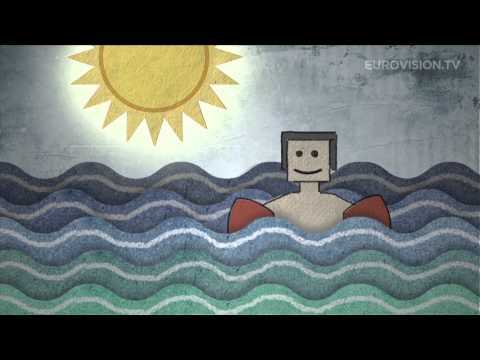 This is probably the strongest ballad, Iceland has ever sent to the Eurovision Song Contest. The song touches from the first note and if all circumstances like outfit, illumination, sound, etc. will be ok, it will definitely qualify for the grand final; at least the juries will love that. 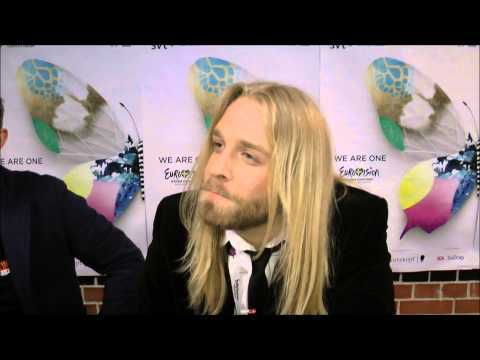 For Iceland, it is the 26th participation in the Eurovision Song Contest this year in Malmö. With the debut song "Gledinbankin" by the group Icy in 1986 the Icelandic participants could only reach the 16th place. But Iceland has achieved some good results over the years. Overall, there were two times a second place with "All out of luck" by Selma in 1999 in Jerusalem and "Is it true?" by Yohanna in 2009 in Moscow. In addition, there were also some top 10 places. Over the years there have been truly outstanding contributions from Iceland like "Sjúbídú" by Anna Mjöll in 1996 (13th), "Minn Hinsti Dans" by Paul Oscar in 1997 (20th place) and "This Is My Life" by Euroband in 2008 (14th). Due to the large international competition it has become more important to stand out of the others. With only 320.000 inhabitants the creativity and enthusiasm in Iceland the music business is unbelievably high. The most popular singers/bands from Iceland are Björk, Sigur Rós and Mezzoforte. Therefore the Icelandic have developed a special view in particular at a perfect stage performance. In the last five years, Iceland has been very successful; it has always qualified for the grand final. The Icelandic entries have been sung in the Icelandic language until 1997 when it was only allowed to sing in the native language.